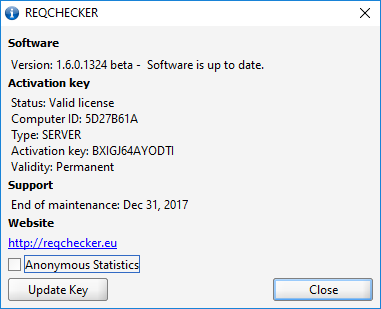 How to find REQCHECKER hardware key? How to send your hardware key to KHILOGIC? How to update your activation key? How to solve node-locked issues after an hardware update? 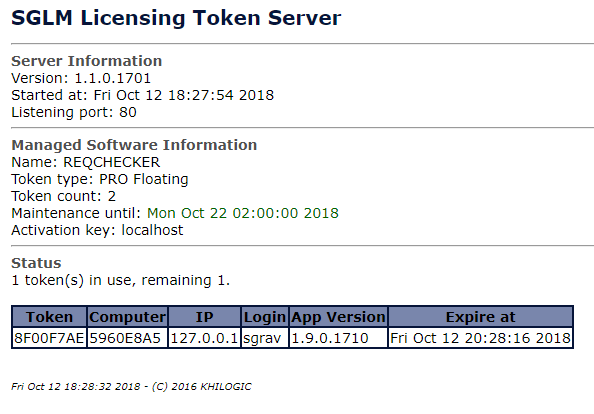 How to solve "Invalid license, only floating license can be used on a virtual computer"? How to read markdown report with Google Chrome? How to solve issue with floating token connexion? This section presents some useful tasks. Your hardware key is requested to compute your activation key. You can easily send your hardware key with the support request. Your activation key must be updated to renew your support option or after a hardware update. The node-locked are not available for a new hardware. Nevertheless you could face some activation issues without hardware replacement. In such case, you hardware key will change and the previous activation key will no longer work. 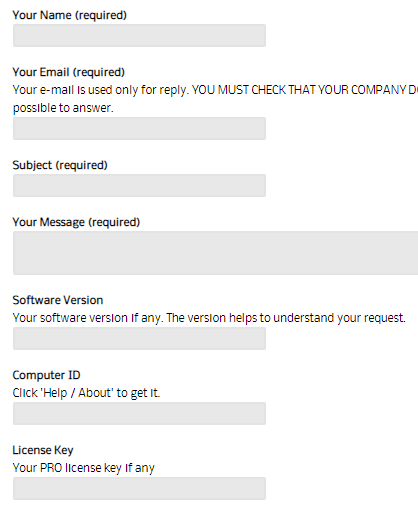 Please ensure that your company is able to receive email from support@reqchecker.eu. Something suggest you are running REQCHECKER™ on a virtual computer. If Windows prompts Windows protects your PC, click on Run anyway. Press the S key. A temporary text file opens. KHILOGIC support team will analyse your configuration and quickly send you a workaround. Markdown Report can be displayed in Google Chrome WEB Browser with a nice look. Login to the SGML License Manager computer. Check that the page is active. If not, uninstall and install SGML License Manager again. Check that there is at least one available token. If not, wait for a token to be available. Login to the end user computer. If not, contact your IT to enable the connexion. Check that the end of maintenance date is not older that the publication date of your REQCHECKER™ version. If not, uninstall REQCHECKER™ and install the older version. Copy the value after Activation key: in the status page. Paste it in the REQCHECKER™ dialog box.